Brothers Darryl and Darvel Lloyd, both CFC members, recently wrote a guest blog post for us highlighting some giant trees in the Gifford Pinchot National Forest. They’ve been searching for and tracking these trees for years and are local experts. Did you know, for example, that the GPNF contains the largest known Noble Fir? Check out their post here (with plenty of photos). We also want to thank Darryl and Darvel as well as Friends of Mount Adams for supporting the Cascade Forest Conservancy’s conservation programs. Here’s the link to the blog post at American Rivers. 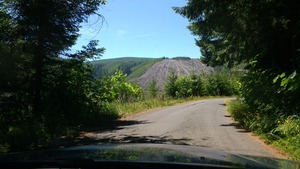 Alert – Help Us Stop the Clearcutting Bill! If you like trees, we need your help. Congress is about to pass the worst forestry bill we have ever seen; a bill that would theoretically allow clearcutting of areas up to 50 square miles and exempt these decisions from almost all public and environmental review. If this makes you angry, please tell your U.S. House Representative what you think about this irresponsible and misnamed bill, HR 2936, the Resilient Federal Forests Act of 2017. Thank you — we need everyone to pitch in to save the future of our national forests! Did you know that our fall banquet on November 2 is our biggest and most exciting event of the year? Come celebrate a year of challenges and successes with us on November 2 at the Melody Ballroom in Portland! You’ll enjoy delicious food and drink, great deals and pleasant company – all while supporting CFC’s important conservation work. Check out the event website here for details and to sign up. We’ll start things with a cocktail reception (open bar!) and silent auction at 5:30, followed by a dinner and live auction around 7:00. The auction is not to be missed. We have dozens of items and our guests are always going home with great deals on outdoor gear, artwork, wine and spirits, vacations, sports and theater tickets, and much more. 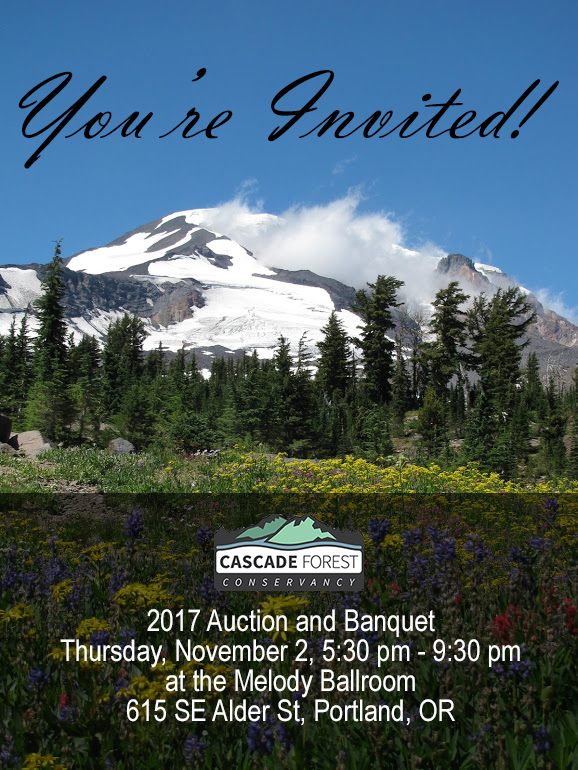 The proceeds from this event are essential to our conservation programs — if you care about the forests, rivers, wildlife and communities of the Cascades, please consider joining us for this fun evening.